Congrats to Team SB Sailor Ryan Eastwood and teammate Sam Merson for winning the 29er fleet at the CGRA Gorge Skiff Regatta! The duo won 9 of 15 races, topping the fleet by 6 points. "The Gorge" is a beautiful sailing venue know for high winds and majestic scenery. We had a stellar Summer Sailing Session #1! Great group of sailors, parents, and our professional coaching staff. Our Inaugural SBYSF Family Night brought together nearly sixty sailors, parents, and staffers. We look forward to the rest of the 2018 season. Thank you to the near sixty parents, sailors, and coaches who came out to our first ever SBYSF Family Night! We had a great BBQ, hung out on the beach, and made new friends. SBYSF will be working alongside Santa Barbara's Semana Nautica in our Summer Session #2! Semana Nautica is Santa Barbara's annual outdoor and water themed festival! This event will culminate with the Semana Nautica Youth Regatta on Friday, July 6th! The 2018 Optimist Team Trials was held in Key Biscayne, Florida (April 26-29). The best sailors in the nation came, after first qualifying, for a chance to represent the United States in various international regattas making this the most difficult optimist event of the year. The first day of the event brought a northern wind direction in the morning; the race committee anticipated a 180 degree wind shift to a southern wind direction so we were postponed on land for three hours. When the wind finally did shift, the race committee did not hesitate to send us out on the water because we were already three hours behind schedule and were still trying to get the goal of three races per day. The first race was sailed in unstable conditions due to the recent huge wind shift. Unfortunately, I rounded the top mark in twenty fifth. Fighting my way back to the front and being on the correct side of yet another wind shift on the last beat, I made my way back to fourth. I sailed the next two races races aggressively and fortunately made the right decisions on course and got two top two’s. The second day was deemed un-sailable. There was a severe low pressure system engulfing the race course making it hazardous to sail- It was so extreme that there was a potential tornado warning issued. The third and final day of the qualifying series brought strong wind from the north, north-west direction. I prevailed in the stronger wind and secured all top three finishes, maintaining my position in second place overall. Going into Gold fleet, five Santa Barbara sailors were in qualifying positions for The U.S. National Team. The final day of the regatta was the most challenging as Gold Fleet positions had now been assigned to the top 74. The West Coast brought their best sailors to the competition and eight had made their way into Gold Fleet representing a solid showing in unfamiliar waters. Light and unstable winds coming from the south made on course decision making crucial, it was going to be a difficult day on the water for the sailors. The races ranged from 45 minutes to well over an hour in shifty difficult air. I sailed the last races very conservatively taking only small calculated risks. By the end of race four, I had received confirmation that I had qualified for the IODA World Championships in Cyprus having finished second overall. I was tremendously excited and proud to be thrown off the dock into the water by some of my competitors- as is the tradition. Soggy, tired and elated this had been my very best regatta and one I had worked hard to achieve over the past six years. Congrats to Team SB 29er sailors: Ryan Eastwood/Sam Merson (Mission Bay) and Svenja Leonard/Quinn Wilson for finishing 1st and 2nd at the SBYC Skiff Fest! Successful Dock Clean Up Day! A huge thank you to all the volunteers who came out for Saturday’s Dock Clean Up Day! We painted, fixed, washed, and finished up with a great BBQ! Looking clean leading into Summer. Just under a month to go! Over the week of 4/21 - 4/29 our Opti Race Team, under the guidance of Head Coach Jack Barton, headed to Key Biscane YC, FL for the USODA Team Trials. The " Team Trials" is the premiere Opti event in the United States. Two hundred and twenty sailors from around the country must qualify to participate. Up for grabs is the honor of representing the United States on the US National Optimist Team at various international regattas! 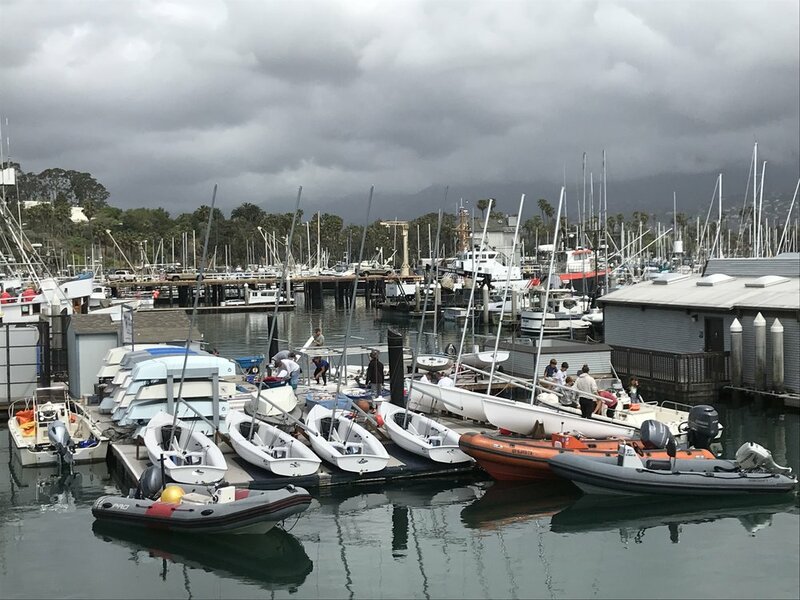 Team SB arrived Saturday 4/21, settling in to housing and picking up charter boats. The first three days were dedicated practice. Working on venue specific boat set up, speed, and learning the local tactics. Wednesday 4/25 was slated as a lay day. Sailors spent the day at the beach and relaxing. Racing began on Thursday 4/26 and persisted for the remaining four days. Our sailors did a great job with five of our team members qualifying for Gold Fleet! We are extending a huge congratulations to Team SB sailor Ryan Satterberg for finishing 2nd overall and qualifying to represent the USA at the Optimist World Championship! Other standout performances were: Blake Behrens (25th/220), Jon Seawards (43rd/220), Oliver Stokke (46th/220), Aston Smith (69th/220)! Great job to our Opti Team at this weekend's Harken #2 @ SFYC! We swept the podium finishing: 1st, 2nd, 3rd as well as 5th, 6th, and 10th! 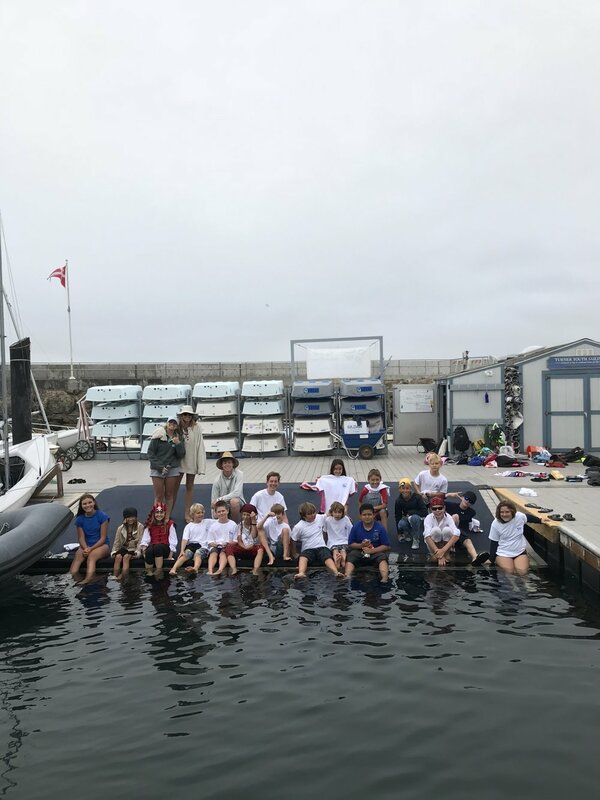 At last weekend's San Diego NOOD Regatta, Team SBYSF consisting of Skipper: Paul Harteck and Crew members: Payne Donaldson, Chris Kayda, Kyla Murphy, and Caden Scheiblauer took top youth honors! The team bested three other youth boats and many open team to once again qualify to represent SBYC at the J/70 Youth National Championship. This year's Nationals will be held in St. Petersburg, FL in November. Our Youth J/70 Team won the overall Nationals last year and is looking to repeat their victory! This weekend, SBYC will be hosting the Laser Class Midwinters West. Looks to be an awesome weekend of racing and with teams coming from across the USA, Canada, and Mexico, the racing will be tight!